You are mine, Marielle Jansen. You don't know it yet, but you are mine. With her brother in debt to the biggest crime lord of the slums, Marielle does the only thing she can to save him. She takes the debt on herself. But the only way she can repay it is to be claimed as mate by a Draekon Lord and deliver him an heir. She has no intention of following through with the deal plans to escape as soon as she's received payment. But when Lord Aymond Haal is found dead, Marielle is accused of his murder. Salvation comes in the unlikely form of Fedryc, son of Lord Aymond and the new High Lord. 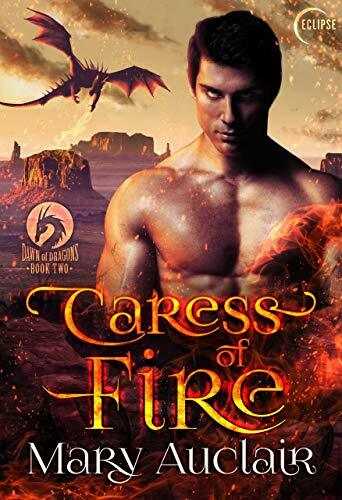 In the harsh desert landscape, Marielle becomes Lord Fedryc's mate and finds pleasures she never suspected could exist. As Marielle navigates the dangerous world of the Draekons and tries to rescue her brother, an enemy lurks in the shadows; a dark force bent on the destruction of all that she holds dear. But can a human woman trust an all-powerful Draekon Lord? And will Lord Fedryc's love be enough to protect her? Publisher's Note: This gripping sci-fi alien romance has it all: dragons, passion and tension. It also contains explicit themes and is intended for adults only.